Established in the late 1980s, Zucca Mountain Vineyards was a dream-come-true for Carol and Gary Zucca. The couple had been enjoying successful teaching careers, but had begun to feel the need for a little change — a little excitement. Gary’s family has wine-making roots in Milan and he had fond memories of sitting around the table as a child with his family at dinner with wine for all (his was a glass of water with a drop of wine for coloring… and, of course, so that he could feel a part of it all). Why not make the leap of faith and start winery? Admirably, they did just that, and to fantastic results. 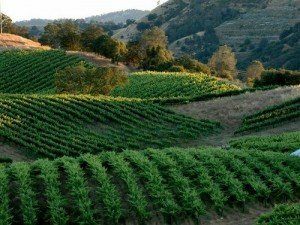 They’ve established themselves as not simply an award-winning maker of premium wines in the Sierra Foothills, they’ve established themselves as part of the fabric of Murphys. They’ve had the same employees from the day they opened! …Now that says something. With eleven wine varietals, a tasting room in downtown Murphys, a wine club and arts and fine dining events at both their vineyard and their tasting room, the Zucca Mountain Vineyards group continues to offer incredible Italian and California wines with impeccable craftsmanship, a big heart, and an infectious “joie de vivre”.